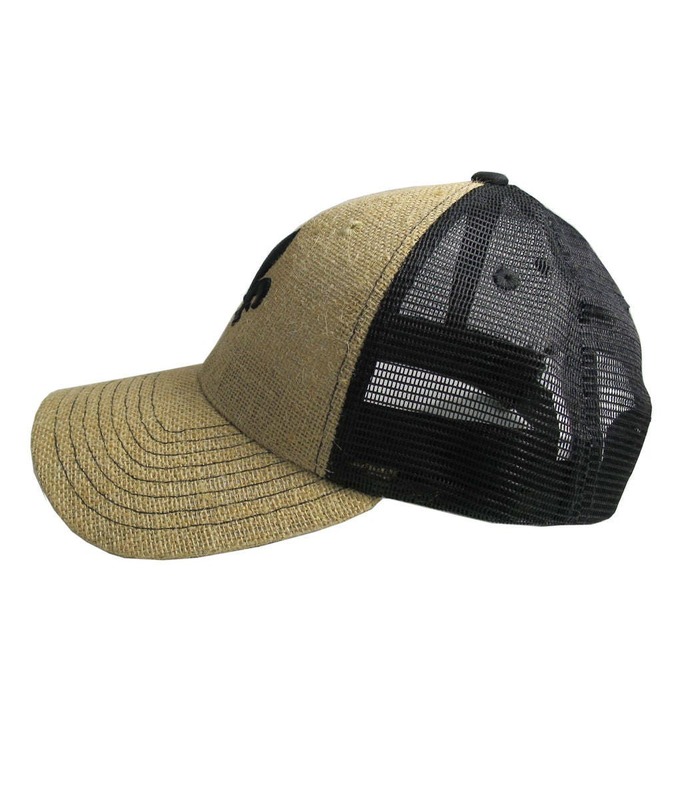 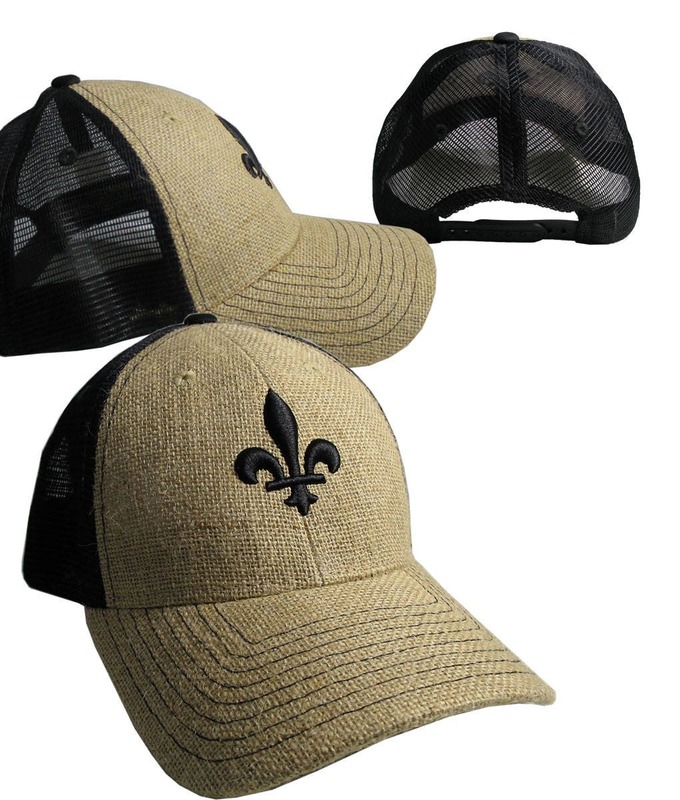 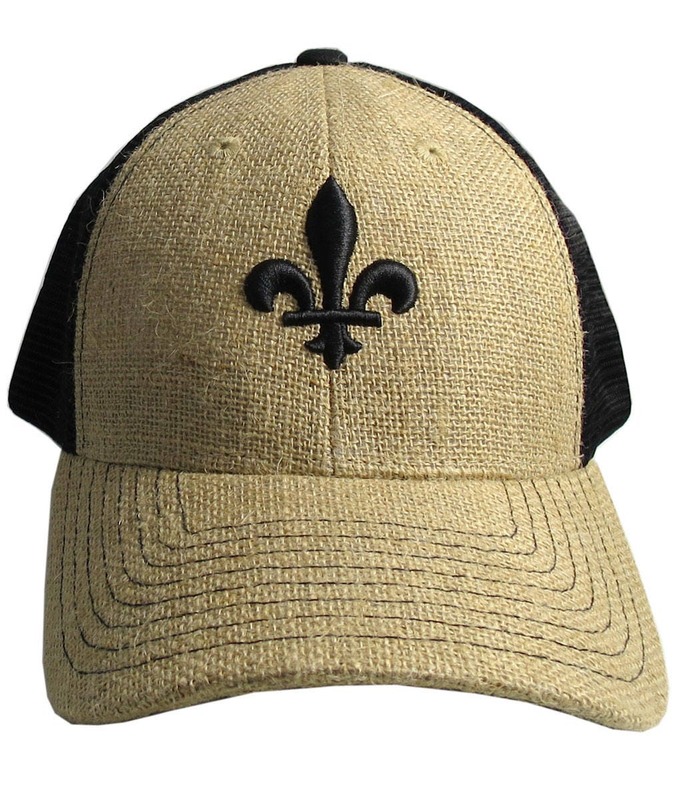 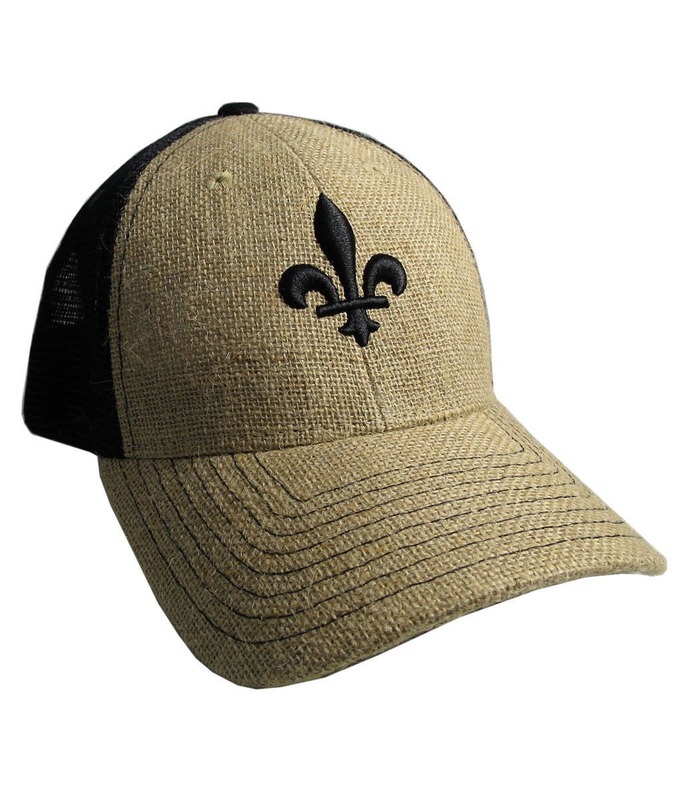 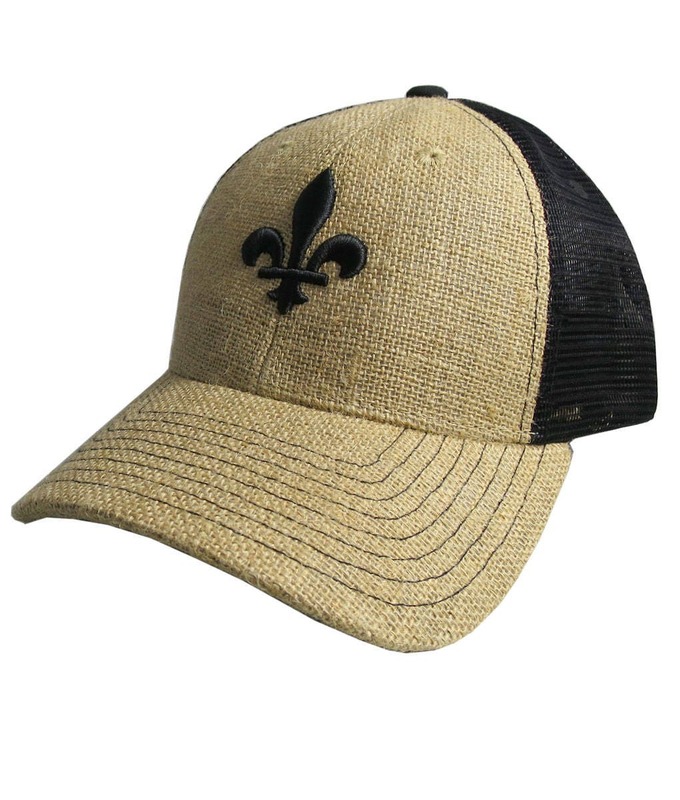 The fleur-de-lis symbol design in black 3D puff style embroidery on a stylish adjustable structured fashion trucker cap in natural burlap jute and black mesh. 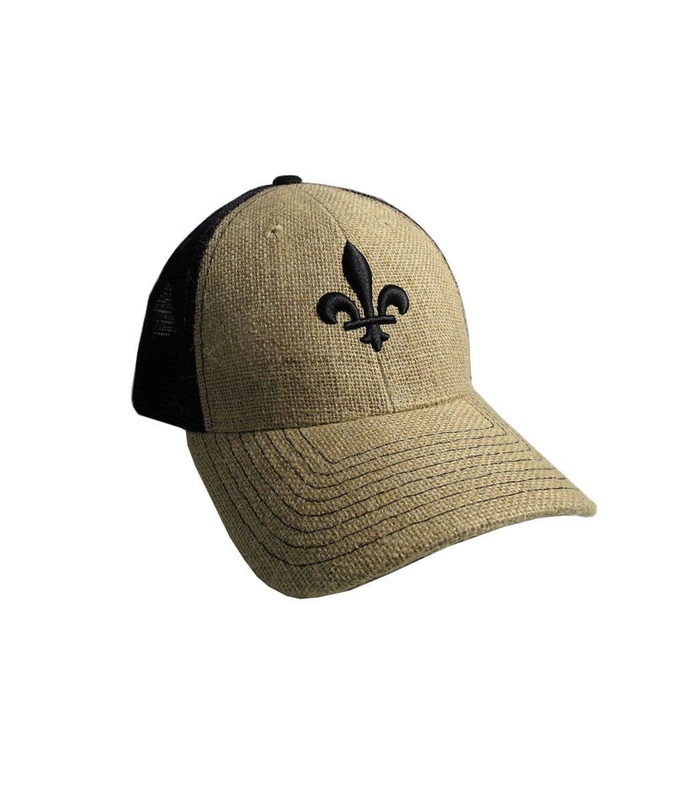 Perfect for all seasons. 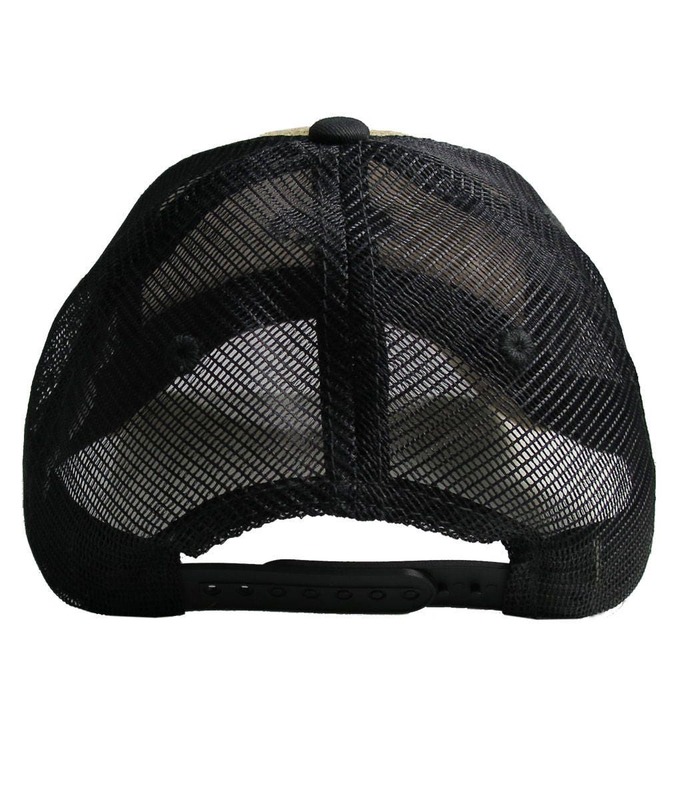 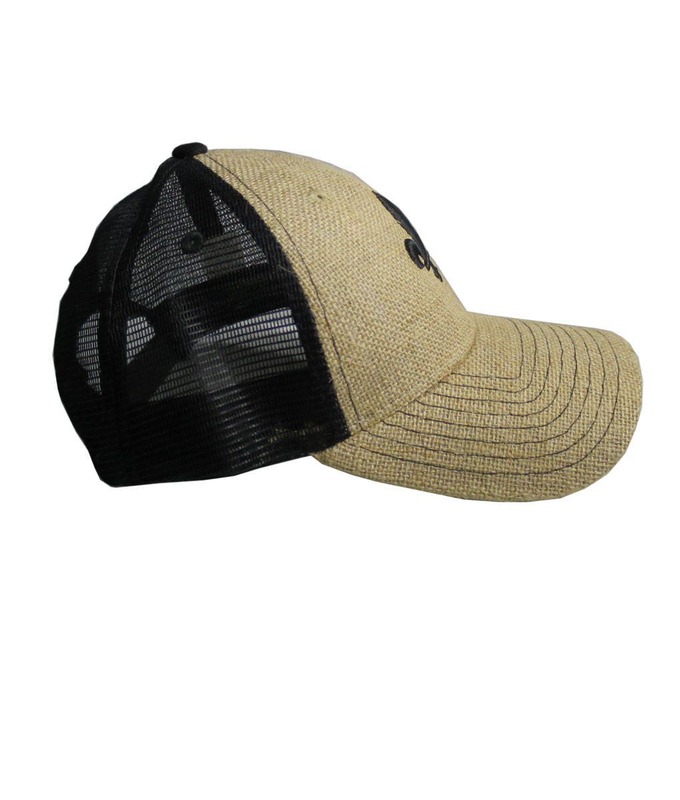 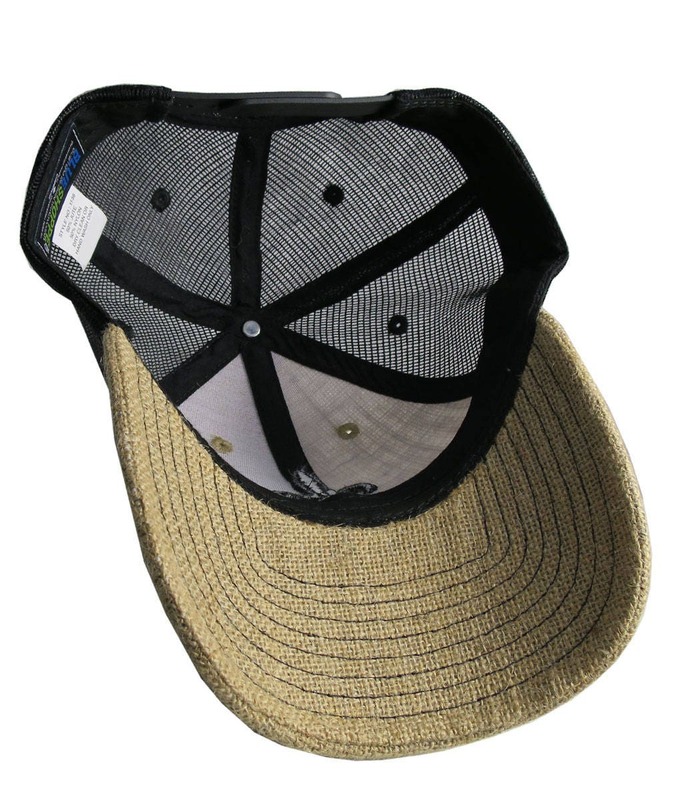 This classic 6 panel curved bill trucker cap features a crown and bill made of traditional natural tone lightweight jute material and rear plastic mesh panels for an ideal combination of lightweight and comfort, comes with a integrated cotton sweatband, ventilation eyelets, 8 rows of stitching across the pre-curved bill and a plastic snap closure to ensure a perfect fit, this cool and stylish Jute cap will be your go-to favorite cap.